If you are a new visitor to our site, you will need to create a password to be able to login and access special member-only content. LEARN HOW TO GET STARTED. We mainatin a comprehensive member directory where you can find contact information and profiles of organizations and colleagues who are affiliated with Philanthropy Network. Philanthropy Network convenes a number of funder affinity groups as a means for members to come together around areas of common interest. Groups have formed to consider specific issues or geographic areas, as well as to share best practices with their peers. As a special service to our family foundation members, Philanthropy Network offers free access to Family Philanthropy Online (FP Online), a powerful web-based forum from the National Center for Family Philanthropy. FP Online offers an array of relevant information and useful tools to help make your family giving more effective. Online Knowledge Center: The National Center's Knowledge Center contains downloadable articles, case studies, profiles, research reports and discussion papers focused on topics of specific relevance to family foundations and family giving. Family Philanthropy Webinar Series: This monthly webinar series features experts and practitioners who present on a wide range of topics, including raising charitable children, effective family governance and new trends in family philanthropy. If you are unable to participate in real time, recordings of all webinars are archived in the Knowledge Center. Family Giving News: This monthly e-newsletter for giving families connects you with important new trends and the latest research in family philanthropy. Philanthropy Network members can sign-in to FP Online here. Access to accurate, up-to-date grantmaking data is critical to understanding the funding landscape and ensuring that your giving is as effective as it can be. Through your membership in Philanthropy Network, you have access to Foundation Maps Greater Philadelphia, a highly interactive, searchable grant-mapping platform from the Foundation Center. The map includes all types of funders and incorporates data provided directly by Philanthropy Network members, inlcuding private foundations, corporations, and public charities. Foundation Maps Greater Philadelphia has the potential to provide a far more comprehensive view of funding in the region than we’ve ever had before. 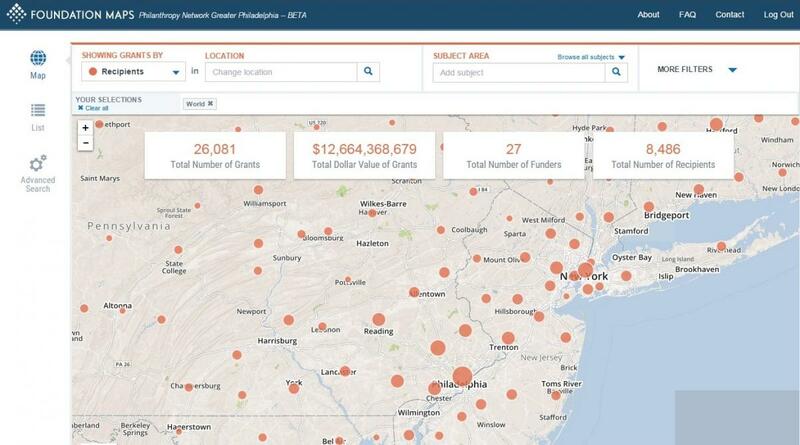 Want to see your grantmaking reflected in Foundation Maps Greater Philadelphia? Get on the Map! 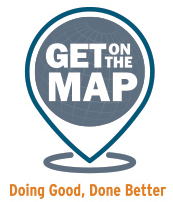 The campaign to “Get on the Map” is a partnership between Philanthropy Network Greater Philadelphia, the Foundation Center, and United Philanthropy Forum, and has as its mission to improve the quality, timeliness, and availability of rich grant data—for and about funders in our region. CLICK HERE to find out more about how your organization can Get on the Map! Philanthropy Network participates in the United Philanthropy Forum, giving our members access to many benefits, including its Knowledgebase, a shared archive of hundreds of resources for grantmakers collected by the Forum and its 60+ members. The Knowledgebase includes fully indexed and easily searchable resources such as documents, links, reports, sample materials, job postings, and more. Drawing from the best of the Forum’s network, this collective archive harnesses the knowledge of the top philanthropic leaders and practitioners. Our members often ask questions that are best addressed by their peers. To help you get the answers you're looking for, we’ll survey the membership on your behalf. These benchmarking surveys are an easy and effective way to share ideas and best practices. For more information or to submit a request, please contact Cathy Fong. Whether you’d like to share information about special initiatives, requests for proposals, award nominations, job openings or an event that you’re hosting, your membership in Philanthropy Network provides you with a channel to spread the word about your organization’s work. Announcements are posted to our website’s Job & Opportunity Boards, shared via social media and highlighted each month in our newsletter. Send relevant news items to Amy Seasholtz. Whether you are new to grantmaking or have deep experience, or giving is your profession or your personal passion, Philanthropy Network helps you reach your philanthropic goals. Learn more about benefits of belonging and how to join.